A recent article from the Star noted that Malaysia was about to sign a new Trans-Pacific Partnership agreement that would make subject local copyright laws to those imposed by the US. Now according to the article from the star the purpose of us looking into a stricter Intellectual property law was to “encourage investments, innovation, research and development”. That is a false premise. The laws by themselves are useless if enforcement isn’t there, and if you can’t even enforce the current IP law, then why bother changing the laws if there is no plan to up the enforcement? Also this premise that we will encourage research and development with a strict law is both flawed and without basis. There is no empirical evidence to suggest that innovation thrives when Intellectual property is strictly enforced, in fact innovation is effectively crippled when you’re afraid that anything you produce might infringe on someone else’s copyright. It would lead to a point where corporations would spend more checking on copyright infringement then they would actually innovating and producing. Now of course what this means is that you can’t even sing the song and publish it on youtube, you can’t sing a song at a wedding, you can’t play the song at supermarkets, and you can’t even record yourself playing the song. This is the sort of archaic laws we’re dealing with here. So when you put that together with what the new TPP agreement would bring–which is– “its IP provisions reportedly did not distinguish between personal and commercial use.” This of course is scary stuff, considering you won’t even be allowed (under law) to play a song, or a make derivate work on the agreement. 3) Uri Geller, the psychic who could bend spoons with his mind, tried to remove youtube video clips that exposed his fraudulent activity…and the material didn’t even belong to him. 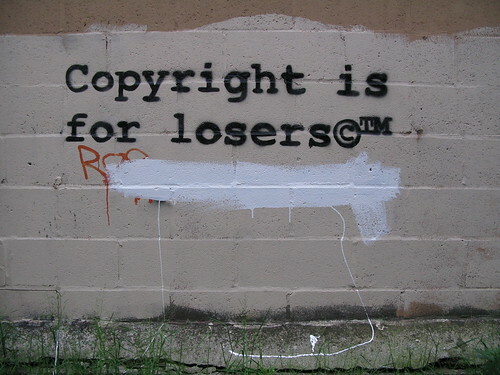 Under the guise of copyright infringement we’ve huge amounts of legal intimidation on people who can barely afford lawyers, let alone ones as expensive as the ones Sony is hiring. We’re seeing a lot of corporations take copyright infringement a bit too seriously, like facebook suing a wordpress developer for creating a theme that looks like facebook–that’s taking things way to far. How would a wordpress developer ever afford to defend himself in a long protracted legal tussle between him an a $100 billion company? A lot times, those that are right, and believe their right cannot defend themselves because copyright law invariably favors the corporations, it’s a complicated law that I feel was written to complicate things, sort of like how bankers designed housing loan derivatives in the US. It’s too complicated for me to understand, to expensive for me to defend, and so how would the average person on the street defend themselves against bullying tactics? We can’t. So when Malaysia is looking to sign onto an agreement that would not make a distinction between commercial and home use, I’m very afraid. The penalty for buying an illegal dvd , would be the same as the penalty for selling it. Now here’s where I get really pissed off, it’s not like we can easily buy DVDs here anyway, there are entertainment taxes levied on movies and music and those taxes not only make the material more expensive but also more difficult to procure (even when money isn’t an issue) . We don’t even have a local iTunes store where we can buy episodes or music, we’re left with overpriced music CDs and movie DVDs and even then the selection is limited. If you purchase anything from Amazon on top of the ridiculous shipping charges you also have to pay local taxes, so it’s the entertainment industry and local government in Malaysia make it difficult for you to procure legal material and then kicks up a fuss when you get it via illegal means. If you really wanted people to buy legally, then reduce the price and remove the taxes. So between the amazing difficulty in procuring legal copyrighted material and a law that would make no differentiation between commercial and home use, I’m very afraid of what’s going to happen.